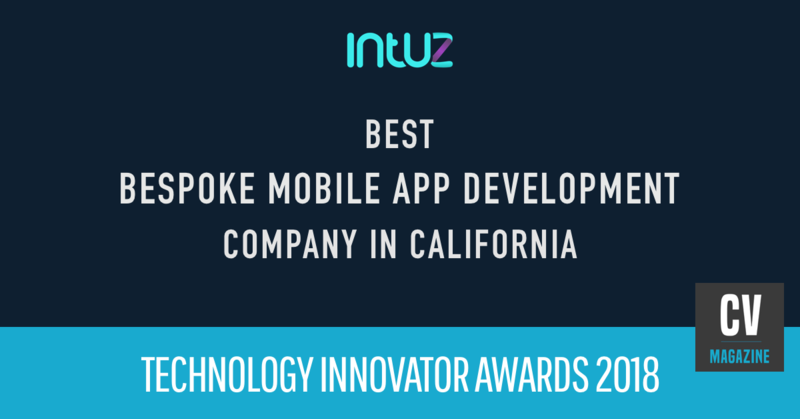 SUNNYVALE, Calif. - June 12, 2018 - PRLog -- The prominent mobile app development company, Intuz, is declared as one of the winners of the Technology Innovators Awards 2018 on June 4. Intuz, established in 2008, is one of the leading mobile app development companies in the USA. It has delivered more than 1500 apps in various industries and serving different geographies. The unmatched diversity of verticals and impeccable experience make them the best team to overcome any project development challenge. Their team consists of industry consultants with innovative minds, creative designers, and expert developers who thoroughly listens carefully understands and meticulously delivers. The seamless integration of our values makes us an empathic partner for the clients. Corporate Vision Magazine is created by a highly experienced and passionate team of business experts, advisors and insiders, Corporate Vision provides discerning readers worldwide with a wealth of news, features, and comment on the corporate issues of the day. Connect with us to turn your app ideas into reality. Visit this (https://www.intuz.com/get-started) to schedule a meeting and let our experts do the rest for you. Full details about the event can be found at (https://www.cv-magazine.com/2018-the-2018-technology-inno...).